After spells coaching at Wrexham, Chesterfield, Hereford and Southport, Mark Morris jumped at the chance of taking up a position at the Liverpool Academy. 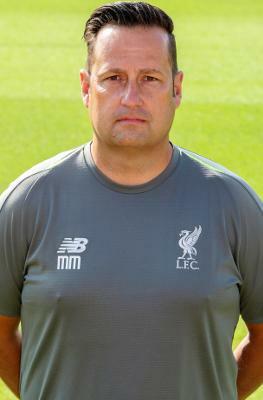 Mark is the U23s goalkeeper coach and combines his duties at Liverpool with coaching the Wales U17 goalkeepers. Upon his arrival at the club Mark said he was relishing the prospect of developing potential Anfield No.1s of the future, and declared: "This is a fabulous opportunity." Click here to read more about Morris.